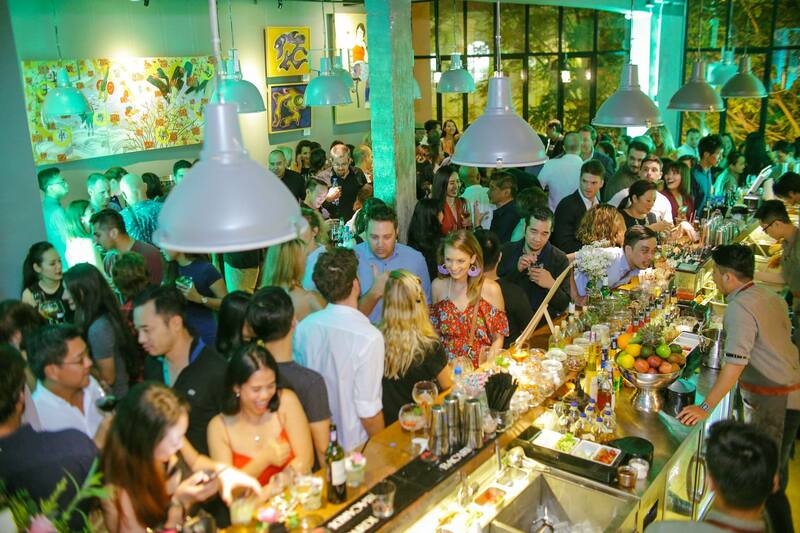 Tucked away on the second floor of a colonial heritage building on an iconic road in the center of Saigon, Layla Eatery & Bar features experimental cocktails, solid bar bites, and stylish ambiance. In a city that is continuing to develop its tastes for cocktails, Jay Moir, the Australian who runs the space, and his team of well-trained bartenders make for a fun bunch in a bar setting that is unrivaled for location and open floor space. We’ve found ourselves multiple times here, in an area more known for older local bars and stodgy hotel bars. The service and operation is top notch, most likely picking up a lot of tricks from their sister business The Workshop Coffee. Layla’s formula is simple: kick-back and share amazing drink and food. The staff, people who frequent the bar (we’ve been a few times now ourselves), and the ambience are relaxed. The main reason why you’ll end up coming more than once to Layla: the cocktails. Reasonably priced and quick to mix, the cocktails are experimental and most end up being a hit with our team. Our personal favorite is their take on the whiskey sour. The food is decent as well, a wide selection of tapas, shared plates, and desserts. There are four areas in the space: the bar, high table area, lounge, and a spacious outside smoking area. The bar and high table area, overlooking Dong Khoi street below, are a bit loud for our tastes. The exposed concrete, brass bar, and metal tables light up the area and make it for a club feel during weekends. I’d advise sitting in this area on a slower night or during happy hour, when the crowd and noise level are lower. On the other hand, the non-smoking lounge area and outside smoking area are consistently fantastic venues any day of the week for a date or a kickback with a group of friends.